I adore Erika Jayne. She's beautiful, talented and knows what her target audience is looking for - a real, honest-to-God dance floor filler. Let me tell you...4th single "Pretty Mess" certainly delivers. I think the new single has what it takes to take Jayne straight to the top of the Billboard Dance/Club Play Chart for a 4th consecutive time (following #1 singles "Roller Coaster," "Stars" and "Give You Everything"). At first when I saw Erika Jayne's "Pretty Mess" listed under the new releases on iTunes, I dismissed it. I thought it was an album re-release or something like that. I had given up hope of a follow up single to "Give You Everything" (which came out last May). Even the album (also called Pretty Mess) was released last summer. This is quite a long span of time in between singles. As it turned out, it was worth the wait. On the remix, we have the incomparable Tracy Young, Dave Audé, Larry Tee, DJ Escape/Johnny Vicious, Klubjumpers, Bill Hamel, Peter Rafelson, and Marshall Stack. That's quite the impressive lineup if you ask me! While the single isn't officially set for release until April 27th, you can pick up 3 Remix EPs on iTunes now including one for the club mixes, one for the edits and one for the dubs. "Pretty Mess," the album's title track was written by Jayne and Peter Rafelson and features a hot video to boot (see below). The video is actually cut to the Dave Audé remix and features a sexier than ever Jayne prancing around a dance club. The video was directed by Mikey Minden (whom I remember and love from both seasons of 'Search For The Next Doll' on the CW) and Mike Ruiz. Get ready to tear up the dance floor with the new single from Erika Jayne. It's a hot one! 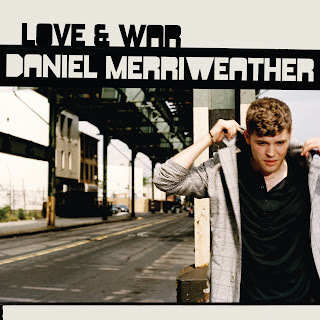 OH what I wouldn't give to hear Aussie singer/songwriter Daniel Merriweather's golden pipes live at the House of Blues in Boston on April 30th. Daily Variety called him a star and I have no doubt about that. 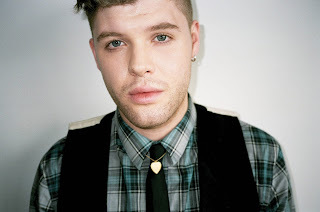 I've been in love with this guy's voice since I heard his guest vocals on Mark Ronson's "Stop Me," and have been following his various featured vocals on other tracks since. When I learned Merriweather was doing a solo record, OF COURSE I got excited. Like all good music these days, Merriweather first released the album in the UK (June 1, 2009), where it managed to chart in the #2 spot - followed eight months later by it's U.S. release on February 23rd. First single, "Change" peaked at #8 on the charts, while second single "Red" fared better, peaking at #5. Further singles did not do so well, with "Impossible" peaking at #67 and "Water and a Flame" featuring British soul singer Adele failed to chart altogether. I'm a firm believer that an artist's overall success should not be determined chart success. Merriweather is a talented lad and he deserves success and recognition...in the U.S. too and from the looks of things, he's well on his way. Merriweather recently performed on The Late Show with David Letterman, The Ellen DeGeneres Show, Jimmy Kimmel Live and Last Call with Carson Daly. 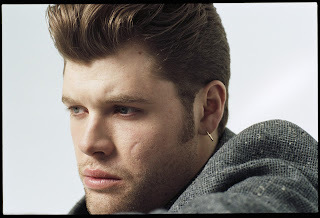 What's more - Dan Merriweather is VH1's "You Oughta Know" featured artist! Quite a plug, if you ask me. What I love about Merriweather is the raw quality of his vocals. The guy can sing, no doubt, but it's a little rough around the edges. The raspy quality to his voice just OOZES sexuality and soul and spills out wherever you hear his music played. 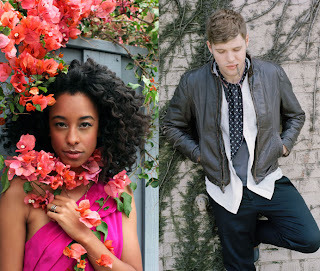 As if all of these high profile U.S. television performances weren't enough, Merriweather is currently on tour with British R&B singer Corinne Bailey Rae, who's launching her own comeback of sorts, after a 4 year hiatus. The North American tour kicked off on April 9th in Vancouver and takes the talented duo to 15 cities throughout the United States and Canada. Next Friday, on April 30th Merriweather will be hitting the stage at the House of Blues in Boston. *DROOL* Now I did consider buying tickets earlier but just never got around to it. Now, of course, I'm kicking myself. If you haven't picked up a copy of the album, Love & War yet, what are you waiting for? It's brilliant! While his ballads are beautiful, I'm more a fan of up-tempo fare like "Change," featuring Wale. That being sad, "Red" is GORGEOUS, and I love his duet with Adele on "Water and The Flame." Love & War was produced by Mark Ronson (of course) and takes inspiration from a variety of diverse artists. The album is a little bit retro, which really suits the raw quality of his vocals. The album also features GORGEOUS instrumentation and orchestral arrangements throughout, which only complement the singer's pipes. If you aren't familiar with Dan Merriweather yet, get ready to be blown away.